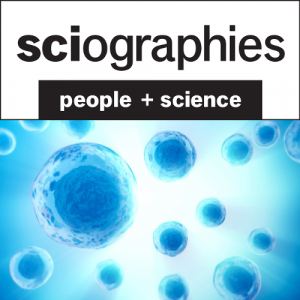 Sciographies introduces listeners to scientists at Dalhousie University. Each episode explores events in our guest’s life that left an impression powerful enough to lead them to their career in science. Guests will also talk about their research and provide thought-provoking commentary on topics like climate change, cannabis research, endangered species and more. He went from the varsity soccer team at Dalhousie to striking a deal that made him Tesla’s first university research partner ever. Physicist Jeff Dahn isn’t one to “stand around and let grass grow” under his feet. He has led a highly-acclaimed career in battery science. Known around the world as one of the pioneering developers of the lithium-ion batteries now found in portable electronics, power tools, electric vehicles and large-scale energy storage, Dr. Dahn has been recognized with awards like Canada’s NSERC Gerhard Herzberg Gold Medal in Science and Engineering. Now an Industrial Research Chair with NSERC and Tesla Canada, Dr. Dahn works to improve how much energy Li-ion batteries can store, how long they last over time, and how they’re made in an effort to reduce their cost. In between running his 25-member lab group, he teaches the first-year physics course at Dalhousie. In this episode, he talks about how he built a successful career as a scientist in government, industry and academia. He also comments on how Li-ion batteries are currently the best energy storage solution but alternatives, while in their infancy now, can also help us solve our energy problems in the future. She went from feeling personally responsible for documenting a lunar eclipse as a kid to taking hints from nature to inspire her research as a biomedical scientist and engineer. Dr. Sarah Wells is the Assistant Dean of the Medical Sciences program at Dalhousie University and a professor in both the Department of Physics and Atmospheric Sciences and the School of Biomedical Engineering. She tells us about reading every astronomy book in the Lucan, Ontario library and her work on understanding natural materials like heart tissues in pregnant women. Having a fundamental understanding of how natural materials work, she says, can lead to better high-performance engineering materials, medical treatments and more. He went from quantum theory to co-founding his own tech start-up. Jordan Kyriakidis grew up in Toronto, the child of Greek immigrants. He makes bold moves. First, he moved halfway across the country with his then-girlfriend after his second year of undergrad. Now he’s the CEO and President of QRA Corp., a company the associate professor with Dal’s Department of Physics and Atmospheric Science formed after working with an industry partner on quantum computing research. He tells us about how being a scientist isn’t so different from being a CEO, the difference between theoretical physics and experimental physics, and how an automated future demands innovation in science and engineering. She went from a little girl playing in her dad’s laboratory in India to earning recognition as one of Canada’s Top 150 Women in STEM last year. Mita Dasog started university at age 16, got hired as a summer research assistant at 17, then earned her PhD in her mid-20s. Now she’s an assistant professor of chemistry and her work involves designing new materials for use in renewable energy solutions. She tells us about growing up in India, how she fell in love with science, and the challenges she and other scientists face as they try to move society away from burning fossil fuels for energy. He went from flunking a year in high school to identifying a gap in scientific research on dopamine and smoking tobacco as an undergraduate sociology major. When the young Sean Barrett realized he couldn’t fill that gap through the lens of sociology, he switched to psychology and completed an honours project that served as the foundation for the rest of his career. Now Dr. Sean Barrett is a professor in the Department of Psychology and Neuroscience and head of the Dalhousie Substance Use and Addictions Lab. There he studies substances like tobacco and alcohol to better understand how various factors contribute to different addictive behaviours. Now that Canada has announced the approaching legalization of cannabis, becoming the second nation in the world to do so, Sean and other Canadian researchers like him will be able to access cannabis for studies more easily than ever before. Those studies will build the much-needed scientific knowledge on the substance and its uses. He talks to us about his life, research and how the legalization of cannabis impacts his lab. She went from creating her own poetry zines to publishing her first scientific paper in Nature Geoscience while she was an undergrad. Oceanographer and post-doctoral fellow Kimberley (Kim) Davies tells us about growing up on the West Coast, her transformative experience watching humpback whales in Haida Gwaii and how she still gets sea sick every time she boards a ship. When the endangered North Atlantic right whale population off the east coast of North America lost 12 members last summer in the Gulf of St. Lawrence, Dr. Davies was considered one of the key experts on the case. She was often asked to explain the situation in national and international news coverage. In this episode of Sciographies, Dr. Davies also explains how her past and current research helps decision makers understand more about these whales and where they go to find food.